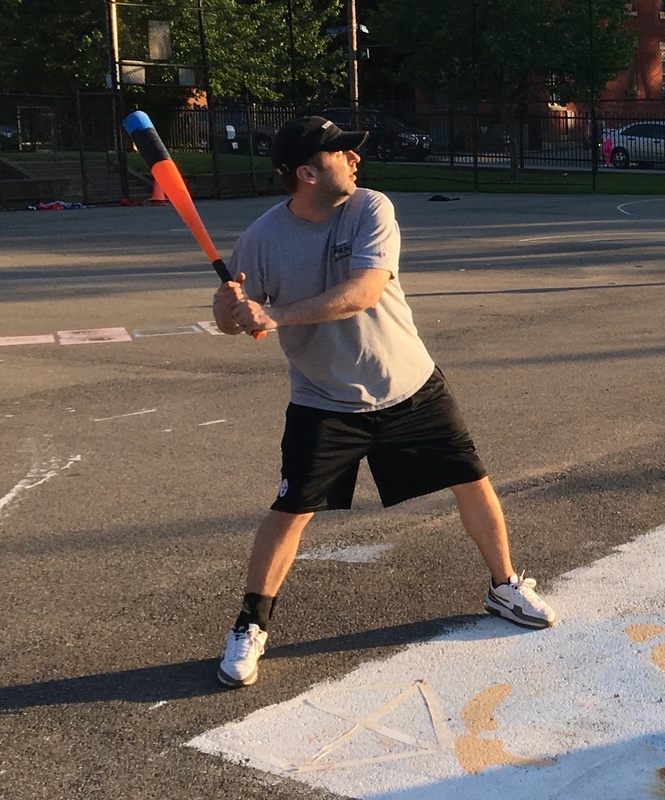 In one of the best regular season games in recent memory, the Ham Slams and Questionable Outfit battled back and forth for eight innings before Questionable Outfit finally pulled way to a 6-4 victory. Mike’s two-run homer in the top of the eight put Questionable Outfit ahead for good, and after multiple comebacks earlier in the game, the Ham Slams were out of gas. Bob pitched all eight innings for the complete game win, and Questionable Outfit remained undefeated for the season. Dustin took the mound for the Ham Slams, and after giving up a leadoff single to Bob, he escaped the inning by getting Tom to groundout to left, and Bob was doubled up on the play, ending the inning. 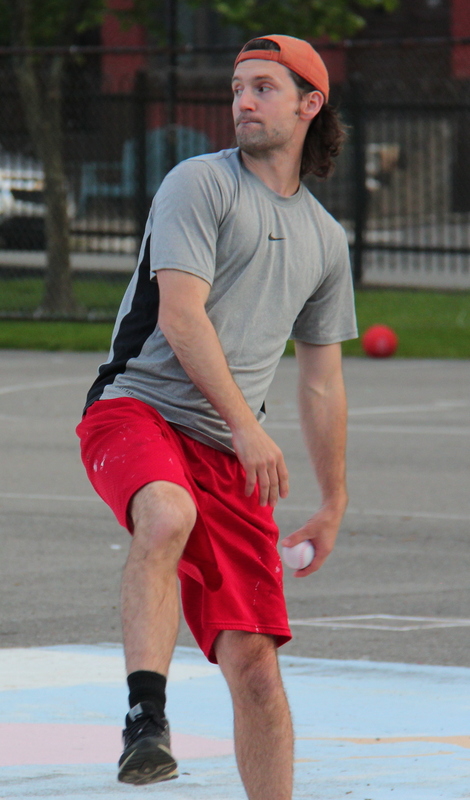 Bob cruised through the bottom of the first, retiring Josh before striking out Dustin for the second out of the inning. Questionable Outfit would jump out to a lead in the top of the second. Mike led off the inning with a double, and Miller drove him in with an RBI double that made the score 1-0. Bob followed with a two-run blast to right, and Questionable Outfit led 3-0. Tom then singled, and when Mike followed with a single, it looked as if Questionable would blow the game open. However, when the next batter, Miller, grounded out to Dustin, he stepped on the mound to double up Tom, and the inning was over. The Ham Slams trailed 3-0, but the deficit could have been bigger. The Ham Slams bounced back in the bottom of the second, cutting into the Questionable Outfit lead. Eric led off the inning with a single, and two batters later, Josh hit a two-run homer, and the score was 3-2. Dustin followed with a single, but Bob stranded him, retiring Eric to end the inning. Dustin rolled through the top of the third, retiring Bob and Tom in order, and the Ham Slams would draw even in the bottom of the third, when Steve led off the inning with a solo homer. Bob retired Josh and Dustin to end the inning, but the Slams had tied the game at 3-3. Dustin remained effective in the top of the fourth, retiring Mike and Miller consecutive.y Bob matched him in the bottom half of the inning, and the score was 3-3 through four innings. Kimble doubled with one out in the top of the fifth, but Questionable couldn’t plate a run, as Dustin retired Mike for the second out of the inning, stranding the runner. Bob pitched a scoreless frame in the bottom of the fifth, and the game remained tied. Questionable couldn’t take the lead in the top of the sixth, as Miller and Bob were sent down in order, and the Slams had a chance to walk off with a win in the bottom of the sixth. Eric singled to lead off the inning, but the Slams couldn’t capitalize, as Bob retired Dustin and Josh to strand the runner and sent the game to extra innings. Questionable would pull back ahead in the top of the seventh, when Mike hit a one-out homer to deep left center, making the score 4-3. Dustin retired Miller to end the inning, and the Slams would need to score to extend the game. Dustin helped his own cause in the bottom half of the inning, leading off with a solo homer to tie the game at 4-4. The Slams once again couldn’t walk off with a win, as Bob retired Eric and Steve to end the inning and send the game to the eighth. Bob started the top of the eighth with a double, and two batters later, Mike hit a towering two-run bomb to left, his second extra-innings homer of the game, putting Questionable Outfit ahead 6-4. Dustin retired Miller to end the inning, and the Slams would once again have to rally to stay alive in the game. For the second consecutive inning, Dustin came through for the Slams, doubling with one out. The tying runner was at the plate, but the Slams couldn’t come through this time, as Bob retired Eric for the second out, ending the game and giving Questionable Outfit the 6-4 win. – Bob pitched all eight innings for Questionable Outfit, earning the complete game win, while allowing four runs on seven hits and striking out one. – Dustin also pitched all eight innings for the Ham Slams, taking the loss and giving up six runs on ten hits. – Both pitchers tied the single game record for innings, with eight. 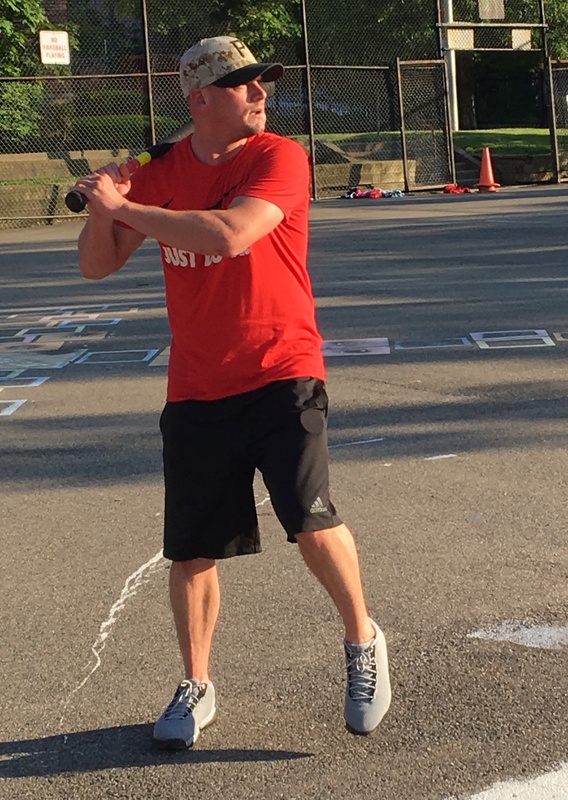 – Mike led Questionable Outfit at the plate, going 4-for-6 with a single, a double, two home runs, three runs scored, and three RBI. Mike put Questionable ahead in the seventh and then hit the game-winning homer in the eighth. – Dustin led the Ham Slams on offense, going 3-for-6 with a single, a double, a home run, a run scored, and an RBI.